hd00:19Waterfall River Rapids Mist Moss. Luscious green moss and bouldered canyon walls are drenched by a large waterfall. The shot follows the fast flowing water over the edge of the fall. 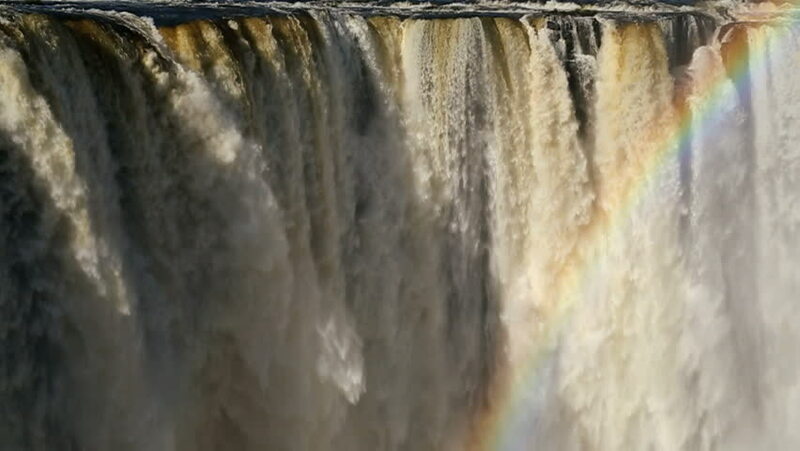 hd00:29Powerful raging muddy water waterfall falling forcefully over a rocky edge. Water stream dropping over the cliff. hd00:27SLOW MOTION: Raging river flowing after a small dam.